1000D*1000D*22*20 , high density polyethylene , It contains 3 layers itself , very strong . All the materials have passed EN71 SGS ROHS EN14960 CE UL . 3. Inflation : Equipped with 10 blowers , 1500W , 60 HZ . As it is constant blower system , you need to inflate it constantly with blower connecting electricity . 4. 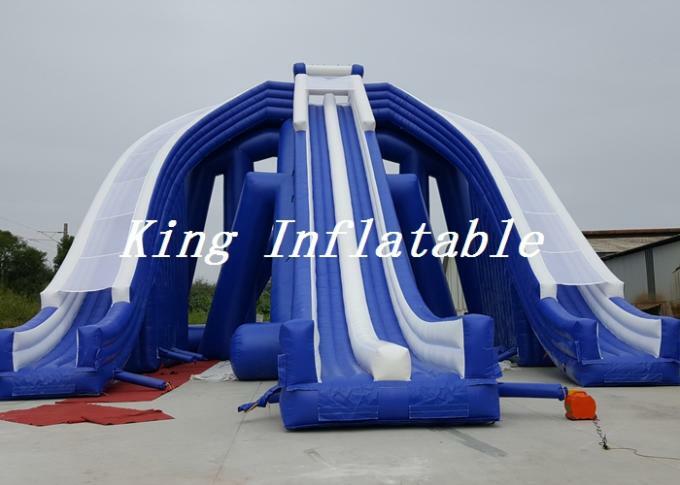 All the inflatable water slides can be customized , based on different model , different size , different color , different logo and so on . 5. 2 years' warranty , if there are any questions , we will take full responsibity to get it re-worked . 6. 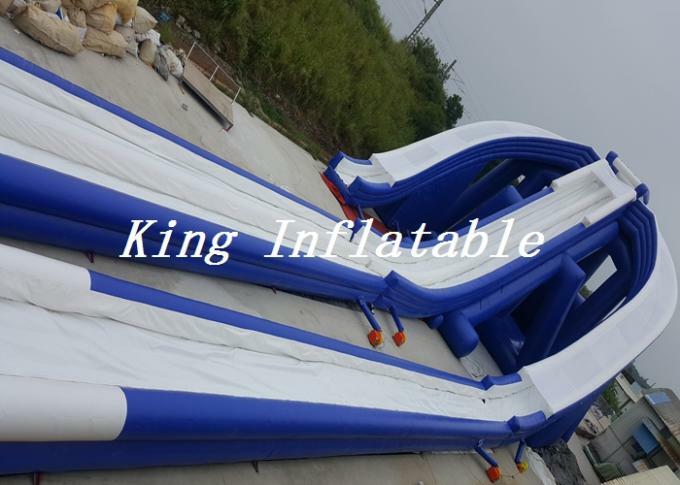 Shipping : This trippo water slide is very heavy , about 14CBM , so by sea is the best choice . 7. 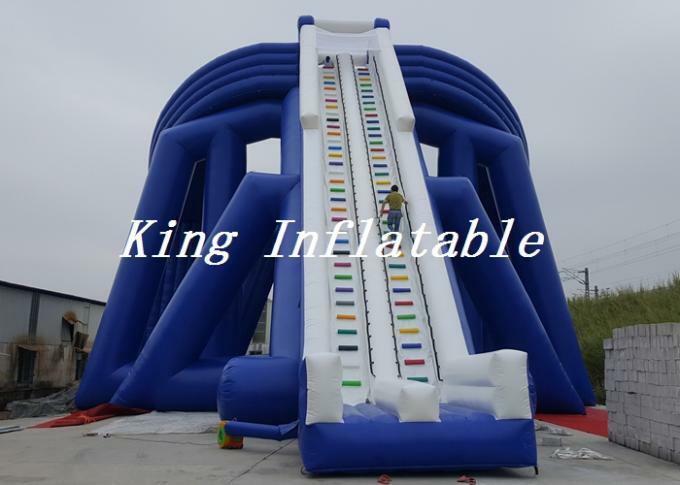 Package : for trippo water slide , we use PVC bag , as it is so big that we will devide it into 6 parts to pack it . For blowers , we use carton bags . 10 carton bags for 10 blowers . 9. Maintence : This trippo slide can be easily cleaned with a cloth , use a silicone based solution to refurbish the material , rinse thoroughly and keep it dry before storing . 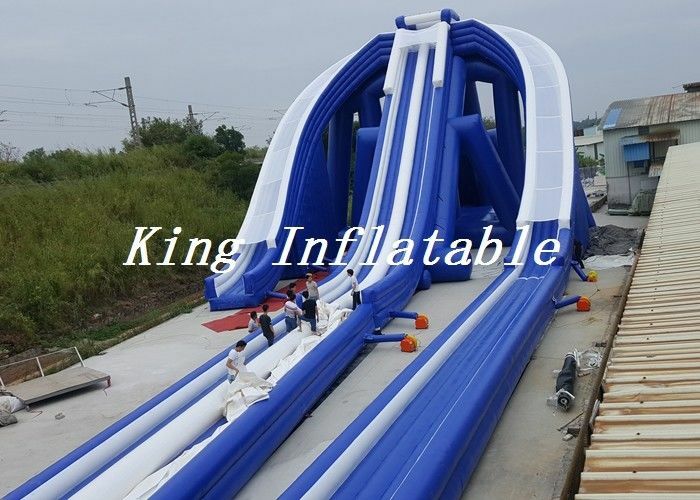 This is a trippo water slide , people can climb from the stairs and reach the top tower , then slip down by choosing a lane of them , it is very exciting . When people are playing , you can let water flow down , it bring more fun .